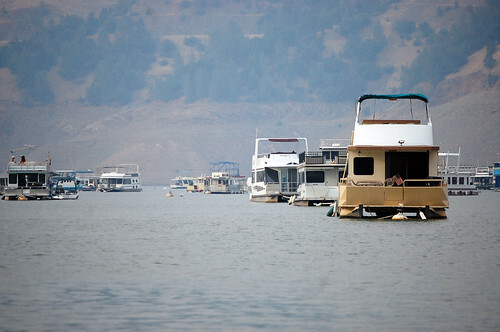 I just returned from a 4-day jaunt on a popular Northern California reservoir in a rented houseboat. 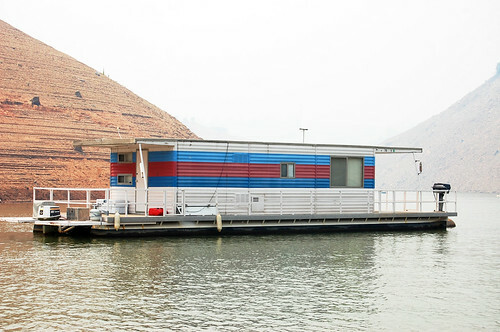 I took lots of houseboat pictures during my float, and upon further reflection I realized that houseboats fall into several distinctive categories, each of which is best-suited to a distinctive kind of person. 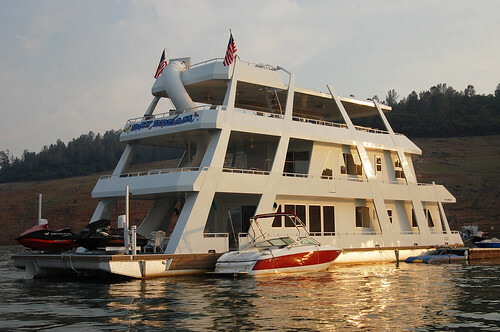 So, without further ado, allow me to present A Basic Taxonomy of American Houseboat Design, over at my motherblog.